The emerging consensus is that anti-corruption efforts should combine initiatives from international institutions, business community, public sector, and civil society, requiring concrete action to change the incentive systems that sustain bribery and extortion. This pertains not just to government officials or large companies. Instead, anti-corruption efforts should encompass small and family businesses as well, since they employ large portions of the population in most developing countries. 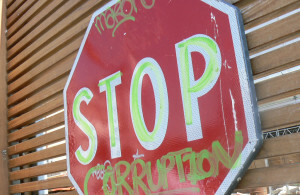 Given that corruption creates massive costs slowing down economic growth and development, it is crucial for developing countries to design and implement effective anti-corruption initiatives, principles and standards. Such efforts require institutional mechanisms that promote transparency, responsibility, and accountability, both in the public and private sectors.